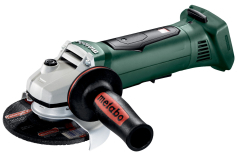 Worldwide, metal professionals from trade and industry rely on Metabo cordles angle grinders. 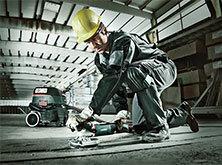 The battery-powered grinders have become vital in everyday work. Independent from the power grid, they can be used anywhere. Thanks to modern battery pack technology the deliver full power like a mains-powered tool. The entire range of diameters is available: 115 mm, 125 mm, 150 mm, 180 mm and even 230 mm! 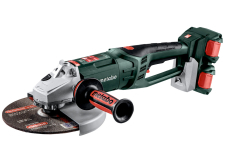 The large 230 mm cordless angle grinder is the world's first cordless tool in this class. It is available in 2 versions: One runs with a 36 V battery pack, the other one with the same power and with two 18 V battery packs that can also be used in all other 18 V machines. 77 mm cutting depth and powerful material removal when grinding speak for themselves. Its 2400 watt power is in no way inferior to the mains-powered angle grinders. The 180 mm cordless angle grinder with brushless motor has a comparably cutting depth with a large mains-powered angle grinder. However, it is significantly lighter and thus, for example, ideal for cutting operations on the roof. 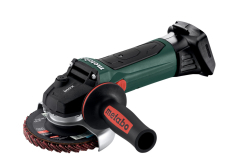 The slim design of the cordless angle grinder up to 180 mm disc diameter makes the tools particularly handy. This permits low-fatigue working also in narrow components or overhead. 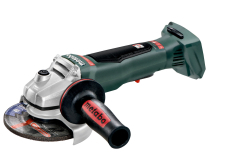 Equipped with the quick system, the cutting and grinding discs can be replaced at the touch of a button without tools. Just like the guard: it can be adjusted without tools and is absolutely twist-proof. If needed, the battery pack can be rotated according to the work situation. 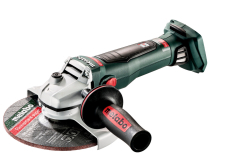 For cutting and grinding with cordless angle grinders we recommend using LiHD battery packs. Maximum cell energy guarantee long runtimes at constantly highest performance. 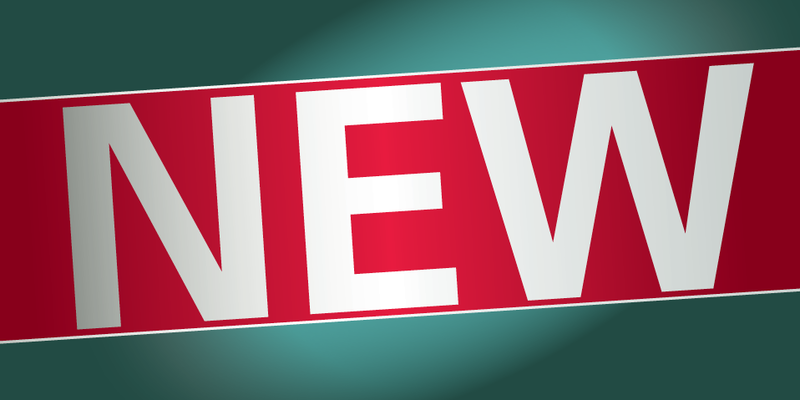 This means that less charging breaks are required and the working objective is reached faster. Working with angle grinder is not without danger, this is a fact. 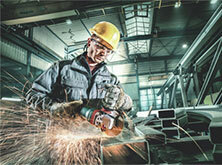 With our safety functions we would like to prevent and permit safe working. Often accidents are caused by loss of control, this is our starting point. 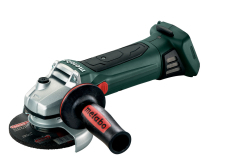 For models with paddle switch and dead man function (P in the designation), the cordless angle grinder is switched off immediately after releasing the switch. If an additional braking system is integrated (B in the designation), the disc stops within 2 seconds after switching off. When the disc jams the kickback torque can hit the user with full force. This kickback is reduced extremely thanks to the electronic safety shutdown. Further safety functions are an integrated restart protection against unintentional starting and the soft start for smooth start-up. All cordless angle grinders (except for the 36 V model) can be operated with any 18 volt battery pack. Also 18 V battery packs of our CAS partners can be used. Discover the new cordless freedom www.cordless-alliance-system.com. In addition to the battery packs and chargers, especially for cordless angle ginders, the grinding wheels also play an important role. We offer you an extensive range of cutting and grinding discs for any application area. Depending on the requirement, there are several quality classes available.